There is 2-3% difference according to manual measurement. Please check the measurement chart carefully before you buy the item. Attention:”KISSMODA” has Registered US Trademark.To ensure quality and sizing,please choose SOLD BY KISSMODA. Material:65% Cotton+35% Polyester.It is lightweight soft and comfortable.Washing Tips:Hand Wash Cold,Color Separate./Machine Wash in Low Temperature./Hang to Dry in Shade. 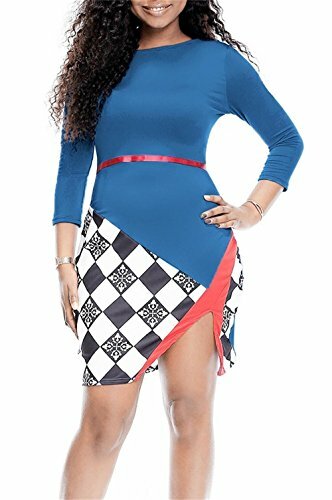 This pencil dress with the features of 3/4 sleeve,colorblock,back zipper,special irregular neck design and knee length.The detail of side little split makes you feel more comfortable when you were on the move. 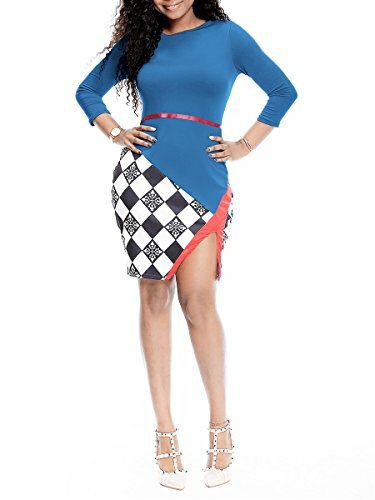 This bodycon dress is perfect for the occasions of date,work,dinner and daily life and so on.It is the perfect day-to-night outfit and is also suit for a nice dinner.Stylish slim fit design show your curve and make you elegant.Matching with waist belt greatly enhances your appeal. 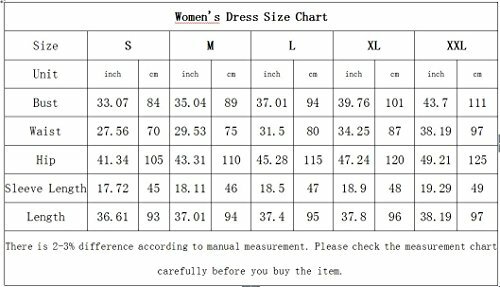 Please check the Size Chart carefully in the below product description before you buy our pencil dress.Tip:The Generic Amazon Size Chart is not our size.